A heart-warming story about two married individuals who meet by fate and become more involved in each other's lives. Choi Soo Ah (Kim Ha Neul) is an experienced AirAsia stewardess who is married to Park Jin Seok (Shin Sung Rok), a pilot who dominates every aspect of her and their daughter Park Hyo Eun's (Kim Hwan Hee) life. Despite protest, Jin Seok sends Hyo Eun to an international school in Malaysia where she meets Annie Seo/Seo Eun Woo, Seo Do Woo's (Lee Sang Yoon) daughter. 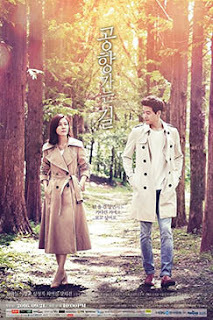 Tragedy strikes when Annie dies while in an attempt to come back home and despite their denial, Soo Ah and Do Woo's lives get intertwined together. How long has it been since I saw a drama that touched me in so many levels. Despite the plot hinting at an affair drama (which I hate the most, but end up watching anyway) it really is a story of pure yet forbidden love and also the complicated relationships of those who around them. This drama is absolutely different, modern, and deals with the affair storyline in a way that doesn't make you uncomfortable while giving you a realistic approach. The chemistry between the two leads is UHMAZING. The perfectly fitted OST was like a sprinkle of glimmer, that just made the drama more magical. I was head over heals after just the first episode. Kim Ha Neul, is such a beautiful, elegant and charismatic actress. I have loved all her work so far, she really is one of my favorites out there. A definitly all-around perfect drama for me.